Monte Pisano is a small group of mountains of a moderate height, located in northern Tuscany, between the cities of Pisa and Lucca, just five kilometers from the “Leaning Tower” UNESCO World Heritage Monument in Pisa. The landscape is very diverse and alternates terraces of olive groves, hills, forests and mountains. It is a small territory characterized by the beauty of nature shaped by the man over the centuries, mild climate, the hospitality of families running farm houses and hotels, the slow pace of the countryside and of agricultural activities. The Tuscany Region, in cooperation with the municipalities of the area established there 7 protected areas of naturalistic interests. A network of paths allows discovering them by hiking and cycling. The itinerary “The route of water-Nottolini and Medici aqueducts” allow to walk from Lucca to Pisa along the two aqueducts which for centuries has supplied water to the towns placed on both side of the Monte Pisano. Thermal spring also exists in the area as well as historical spas located into XVII century buildings. Day 1 Arrival in Pisa and hotel check-in. Meeting the local guide for a guided walking tour in the old town of Pisa. Dinner in local restaurant and overnight stay. Day 2 Breakfast at the premises. 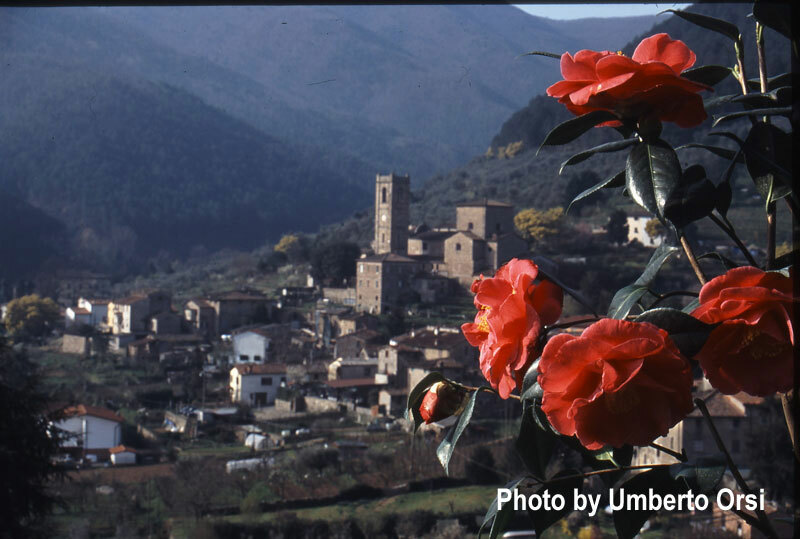 Meeting the local guide and transfer by private bus to the fortified village of Vicopisano. Short walk in Vicopisano, visit to organic farm holiday and oil mill. Lunch at “Antico Frantoio” and extra virgin olive oil tasting. Transfer back to your accommodation in Pisa and free time. In the afternoon tea time with tasty cake in one of the nicest pastry shops in town. Overnight stay. Day 3 Breakfast at the premises Meeting the local guide and transfer by private bus to the the town of Calci to visit the magnificent Charterhouse. Transfer to a farmhouse and get to know the story of the family directly from the owner. The farm has been producing extra virgin olive oil since more than 300 years. Enjoy a informal lunch with the farmer’s family. Transfer back to the hotel in the afternoon. Wine tasting experience in a typical wine shop in the city centre of Pisa. Overnight stay. Day 4 Breakfast at the premises. 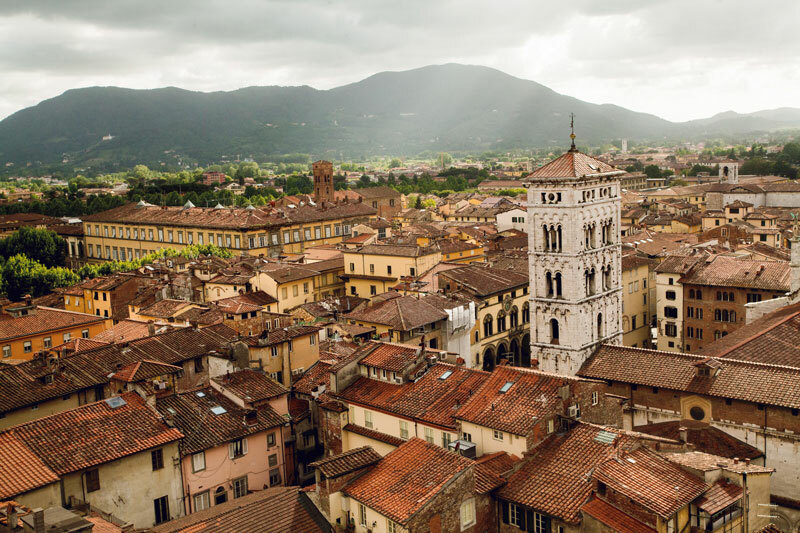 Transfer to Lucca where you will meet your local guide for a nice walk in town. In the afternoon, transfer back to Pisa and free time. Farewell dinner with pizza and dessert in a typical italian pizzeria. Day 1 Arrival in Pisa and hotel check-in. Meeting the local guide for a guided walking tour in the old town of Pisa. Dinner in a local restaurant and overnight stay. Day 2 Breakfast at the premises and Bones for life activity (soft body posture gym to improve bones strength). Transfer with private bus to Villa Reale di Marlia where you will meet a botanical environmental guide, visit to the Villa Reale Park. Lunch in a typical Tuscan restaurant specialised in local dishes. Transfer to the Camellietum Compitese, in S.Andrea in Compito, the most visited camellia garden in Italy. Member of the International Camelia Society, in 2016 has been assigned the title of Garden of Excellence. Back to your accommodation in Pisa and free time. Overnight stay. Day 3 Breakfast at the premises and Bones for life activity. Transfer by private bus to the town of Calci where you meet your environmental guide who will lead you along ancient paths accompanied by friendly donkeys to discover the Valgraziosa. Lunch at the farmhouse where you will meet the owner, whose family has been running the property since more than 300 years. The farm has always produced extra virgin olive oil. Enjoy an informal lunch with the farmer’s family. Transfer back to the hotel in the afternoon. Wine tasting experience in a typical wine shop in the old town of Pisa. Overnight stay. Day 4 Breakfast at the premises and Bones for life activity. Transfer to Lucca where you will meet your local guide for a nice bike tour on the ancient walls surrounding the town. In the afternoon transfer back to Pisa and free time. Farewell dinner with pizza and dessert in a typical italian pizzeria. Day 1 Arrival in Lucca and hotel check-in. Meeting the local guide for a guided walking tour in the old town of Lucca. Within the walls of the historic city of Lucca stand Piazza Cittadella and Corte San Lorenzo, places full of memories which are directly related to the childhood and early youth of the composer Giacomo Puccini. Dinner in local restaurant and overnight stay. Day 2 Breakfast at the premises and transfer by private bus to Torre del Lago Puccini Villa/Museum where you will meet your guide to visit this astonishing house where Puccini composed most of his famous operas. 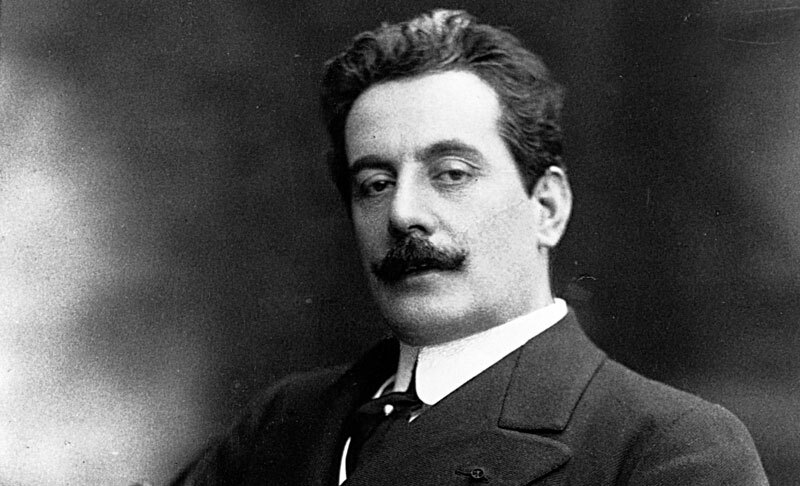 The house became a museum right after Puccini’s death and it still retains the original atmosphere and liberty style of the time. At the end of the visit we will have a panoramic tour (by private bus) around the Massaciuccoli Lake, a natural oasis and one of the few protected wetlands of Italy that is part of the Migliarino Massaciuccoli, San Rossore Natural Park, another inspiring place for Giacomo Puccini. Lunch in a typical Tuscan restaurant specialised in local dishes. In the afternoon transfer back to the hotel in Lucca. Overnight stay. Day 3 Breakfast at the premises and transfer by private bus to Pisa to meet the local guide who will lead you through the ancient town up to the Piazza dei Miracoli. Lunch in a restaurant specialised in Tuscan cuisine. Transfer back to the hotel in Lucca and free afternoon. Concert with Puccini and Verdi’s arias in a fine setting in Lucca city centre. Overnight stay. Day 4 Breakfast at the premises and transfer to S.Giuliano Terme to visit the Cerratelli Foundation at Villa Roncioni. The Foundation hosts a historic and prestigious collection of stage and theatre costumes, an excellent example of Made in Italy in this field. You will also have the chance to ‘get in the shoes of the character’, choosing your favourite costume for a try-on. Lunch in restaurant located in a beautiful villa with private garden. Transfer back to Lucca. Overnight stay. Day 1 Arrival in Pisa and hotel check-in. Meeting the local guide for a guided walking tour through the old town of Pisa up to the Piazza dei Miracoli. Dinner in local restaurant and overnight stay. Day 2 Breakfast at the premises. Free morning and lunch. 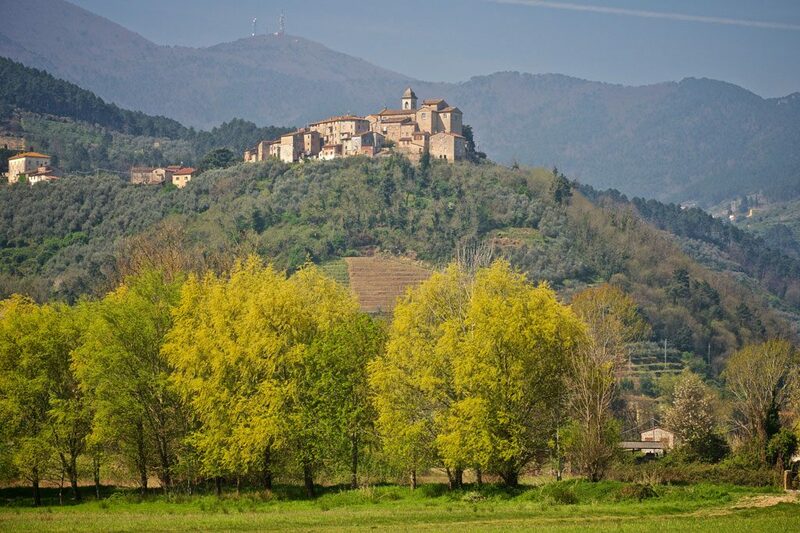 Transfer to the historical Villa in the countryside of Montepisano. 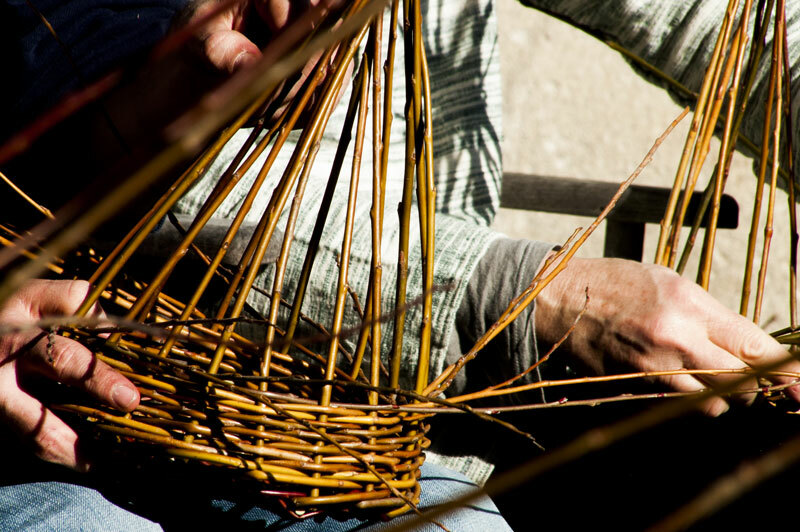 The expert craftsman and owner of the villa will welcome you in his beautiful garden for an introduction into the weaving willow baskets technique. The craftsman will talk about the raw materials used, such as olive and willow branches, the best time to harvest them and how to stock them. At the end of the 3 day workshop every participant will know how to weave a small basket and will take home one self-made work piece out of natural materials. In the afternoon there will be time for a break with tea and a tasty homemade cake. Transfer back to the hotel and free afternoon. Overnight stay. Day 3 Breakfast at the premises and transfer to Lucca where you will meet your local guide for a nice walk in town. You get to know the most important architectural and cultural sights as well as local craftsman shops and culture. Transfer back to Pisa and free time. Transfer from Pisa to your workshop location to continue the weaving class. Transfer back to Pisa. Dinner with pizza and dessert, in a traditional Tuscan Pizzeria and overnight stay. Day 4 Breakfast at the premises and transfer to the workshop location and weaving class. Light lunch in the natural shade of the garden together with your teacher and end of the workshop. Transfer back to Pisa and free time. Wine tasting experience in a typical wine shop in the old town of Pisa. Overnight stay. This handicraft workshop is just an example. Other activities, such as cooking classes, watercolour painting and pottery, are available upon request.